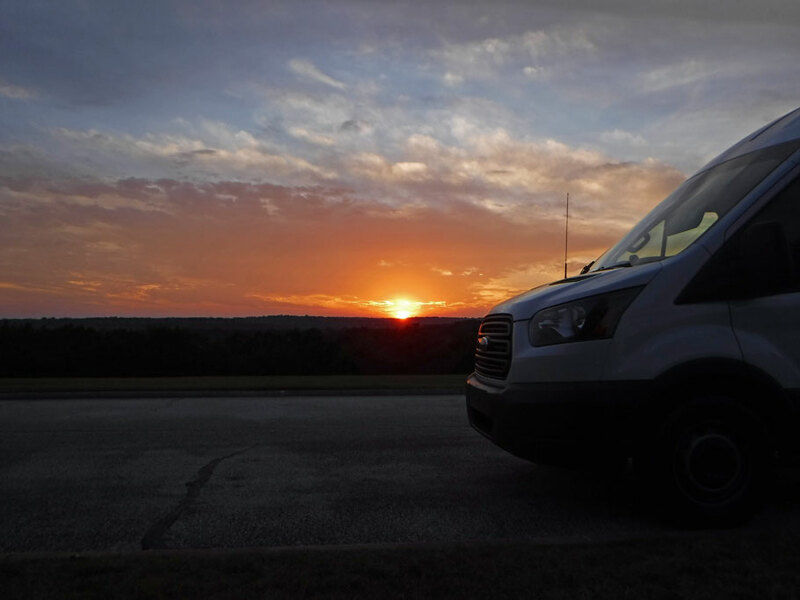 We spent the night in a Texas rest area the night before our meet up in Fredericksburg. Texas allows you to spend 24 hours in their rest stops and makes them very inviting to do so. December 29 – December 31. I had also contacted an old punk rock friend, Austin. Austin lives in Houston. Tom lives in Dallas with his wife and two kids. After several missives back and forth with each, I mapped a route through both cities. But then we decided to stay in New Orleans and house sit for my niece while she went away for Christmas. Austin was going to Austin (the city) to visit his mother for the holidays, then on to spend a few days on the family ranch in Menard, TX, and Tom would be celebrating Christmas with his family on the 26th, then off to Houston for work. Hooking up with old friends was more complicated than I thought it’d be. 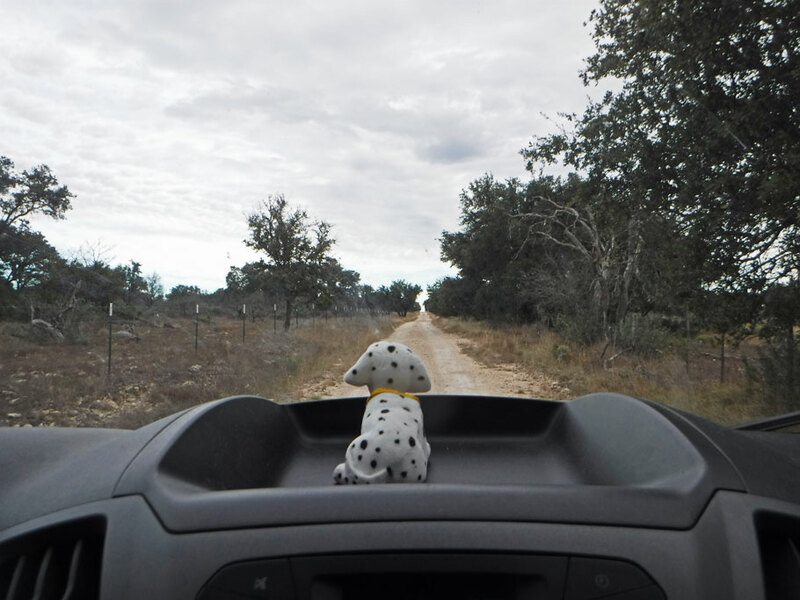 We decided to skip Tom (unfortunately), head for San Antonio for some sightseeing, and then hook up with Austin at the ranch. Meanwhile, I was also corresponding with Mary, a woman from one of my Facebook van groups. She and her husband, Preston, were in Austin, but they were leaving about the same time we would be driving to Menard. I looked at the map and saw that we would be crossing paths in the middle of nowhere. Mary had a lunch place she wanted to check out conveniently located in Fredericksburg on our route to see Austin. Mary and Preston are newlyweds from Pennsylvania. They are traveling with their two dogs in a white van, pulling a trailer with a couple of orange cones attached to the back. It looks like a work vehicle. In the van world we call this stealth – disguising your van as something else so people don’t realize you are living it. Meeting other travelers is interesting. You never really know if you are going to click with them or not. There is always lots to talk about at first, your rig, where you’re going, how you got started in this traveling life, while carefully trying to avoid divisive subjects like religion and politics. We had a good lunch with Mary and Preston. We would see them again in Arizona, but really didn’t get a chance to spend much time with them. But perhaps maybe our paths will cross again? 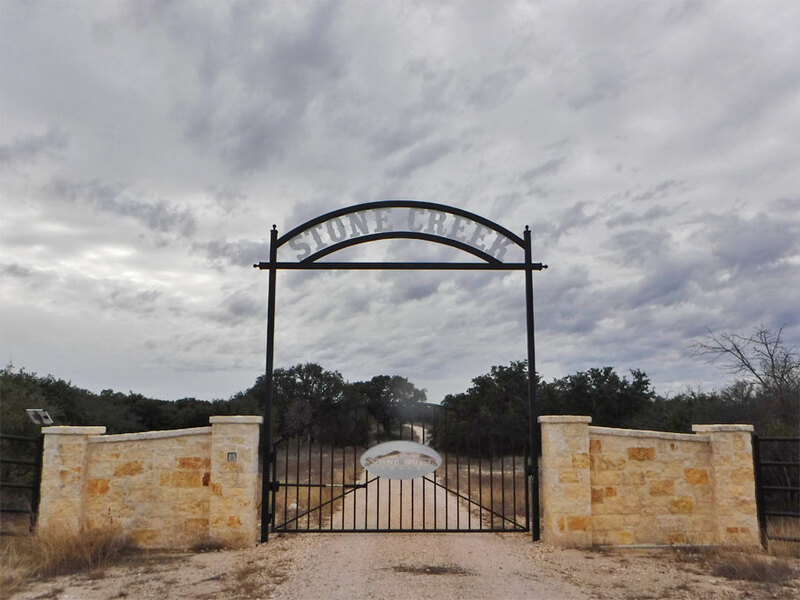 Entrance to Austin’s ranch. 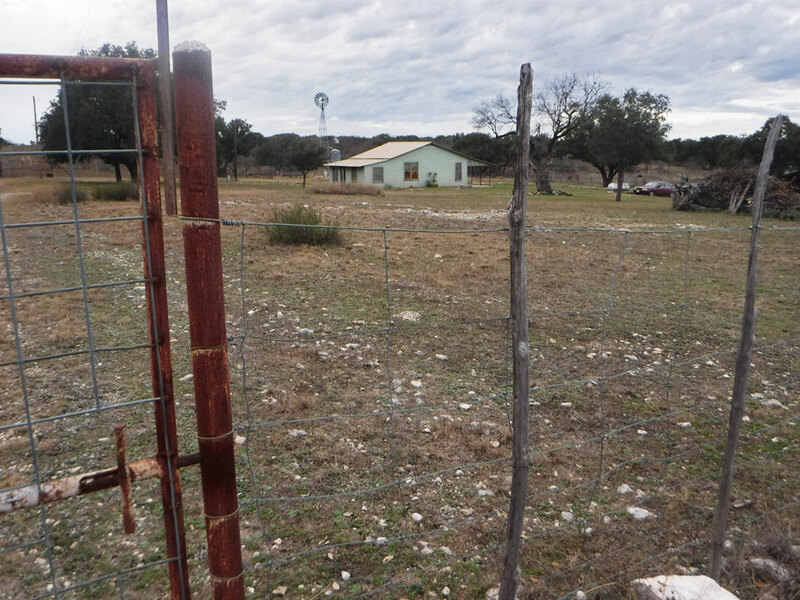 Most of the ranch has been sold to a neighbor who uses it as a game reserve and charges for hunting. I met Austin somewhere in the punk rock scene in St. Louis some 35 plus years ago. Austin was always this very intense person, which perhaps made him a little crazy, which of course made him fun in a punk rock sort of way. Of course we were all a little crazy back then, we didn’t fit in with the norm, we perused the different, the shocking, and the unusual, we danced to a beat we felt like we were inventing as we went along. Back then, when we were so young, I only really thought about the present. I never really thought about anyone’s family or their childhood. I never really thought about where they came from. 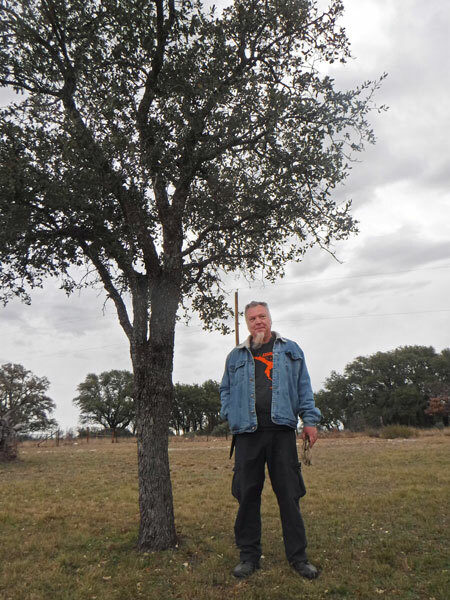 And now, here we were, so far in the future, parked in my friend’s past – the ranch that his grandparents owned, where he would spend summers as a boy. Bob says, when are we gonna be at the Ponderosa? Well, Bob, we’ve been on the Ponderosa for three days, we should be at the ranch house tomorrow. Austin deals in guitars in his real life in Houston, buying, selling, fixing, trading them. He comes to the ranch to decompress. Ballena Blanca parked at Austin’s ranch. There was no hot water at the ranch when we visited. Austin was having trouble with the windmill where it connects to the water line. A hot shower would have been nice, but no big deal for us – and not for Austin either. He told us he occasionally he comes to the ranch, doesn’t shower, and sleeps on the ground outside. He wants to be prepared. For what, I am not sure – but you never know. 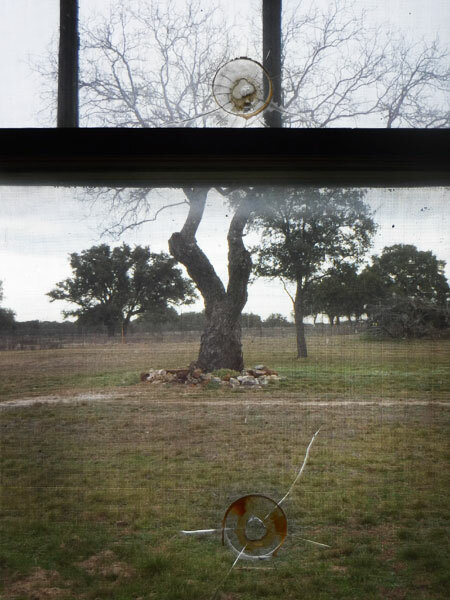 Temporary fixes for bullet holes in the window from Ausitn’s youth. The ranch is well maintained. Austin comes out here every three weeks or so and to keep it in shape. 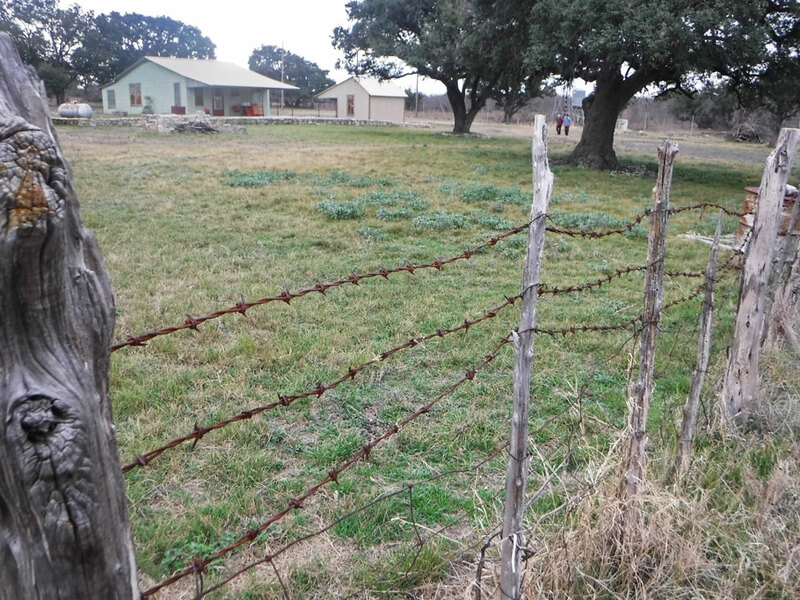 The ranch belonged to Austin’s grandparents. He spent a lot of time here as a boy. Austin with his tree. They are the same age. 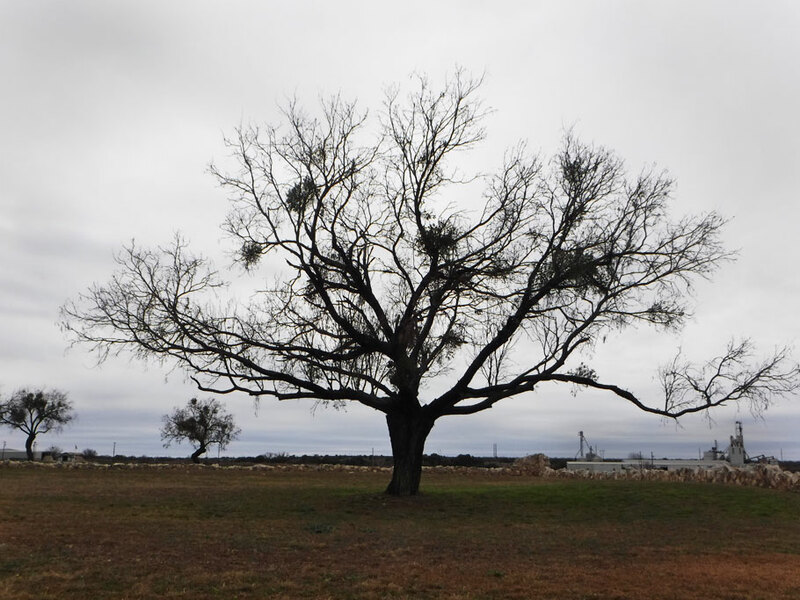 Neither Fredericksburg or Menard were on our list of places to visit, but besides from making new friends and catching up with an old one, they both actually had some things to offer. 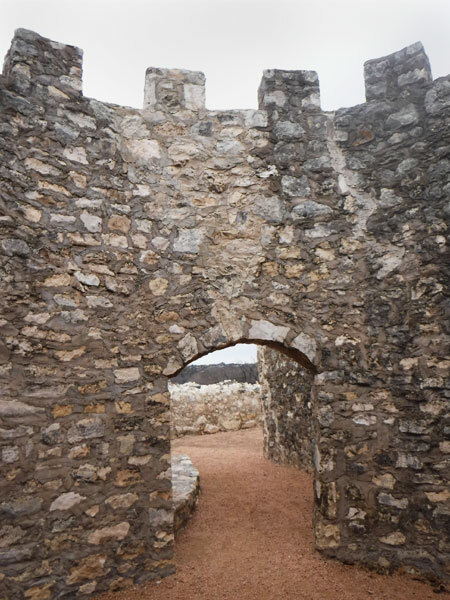 Near the lunch place in Fredericksburg we visited a state park where millions of bats roost in the summer and in Menard we visited an old Spanish fort and tromped through a historic Texas graveyard. Sometimes our detours have the best surprises. 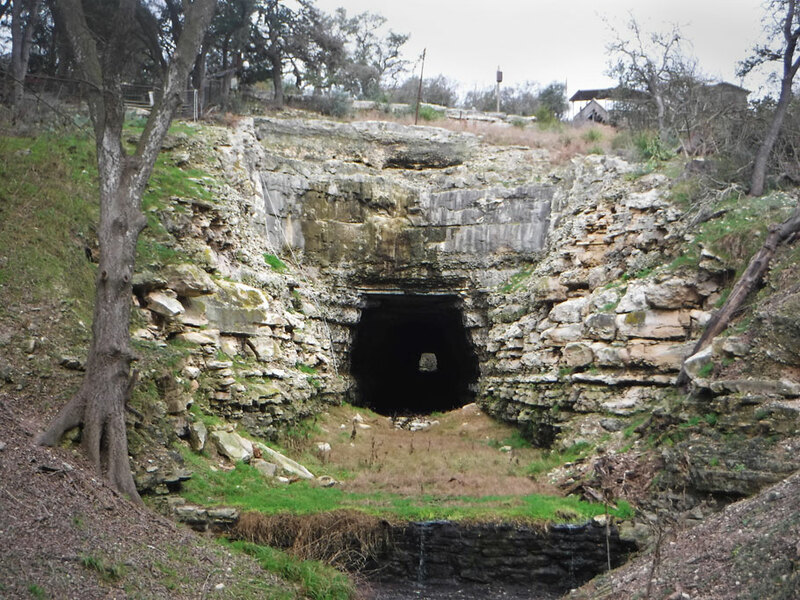 An old railroad tunnel at Old Tunnel State Park serves as a home to 3 million Mexican free-tailed bats and 3,000 cave myotis bats from May to October when this park comes alive. There is an entrace fee and tiered seating in the park in the summer when people flock to the site to watch the bats come out in the evening. Being that it was December when we visited it was pretty quiet since the bats were in their winter home in Mexico. Ruins of the Presidio de San SabÃ¡ built in 1761 by the Spanish who came to the area to prospect for silver and gold and to convert the local Lipan Apaches to Christianity. A lot of the presidio has been restored. As we have learned at other site where we have visited restored ruins, sometimes the restorers get it wrong. This tower would not have had crenellations around the top, but rather would have been flat. Mistletoe in the trees at the Presidio. It was a gloomy day in Texas. 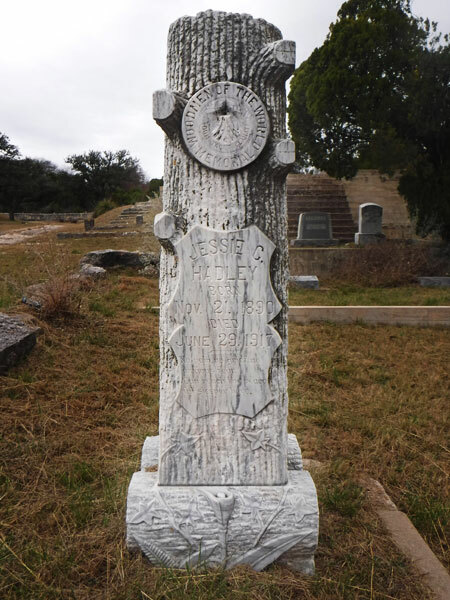 Pioneer Rest Cemetery is a historical site designated by the Texas Historical Commission. The first resident was established in 1863. Tough as a Boot. 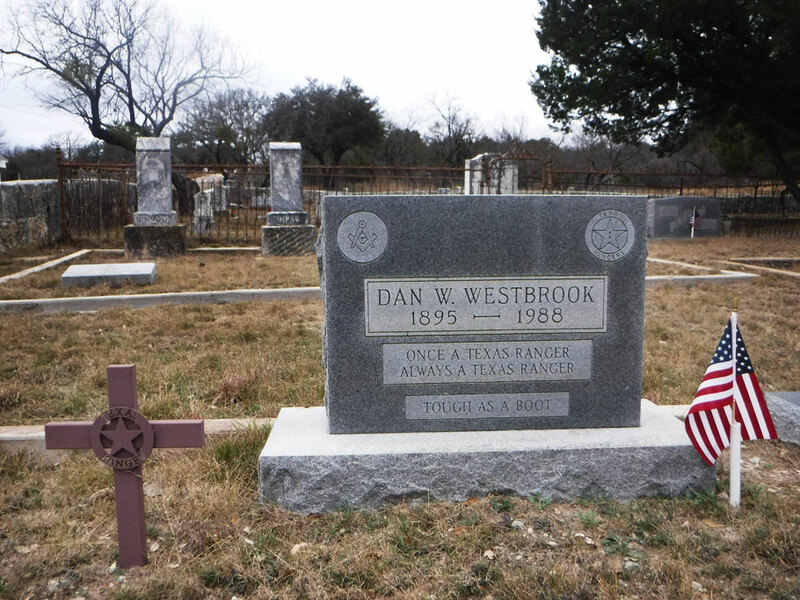 Eight Texas rangers are buried in the cemetery. Woodworkers of the World Memorial. 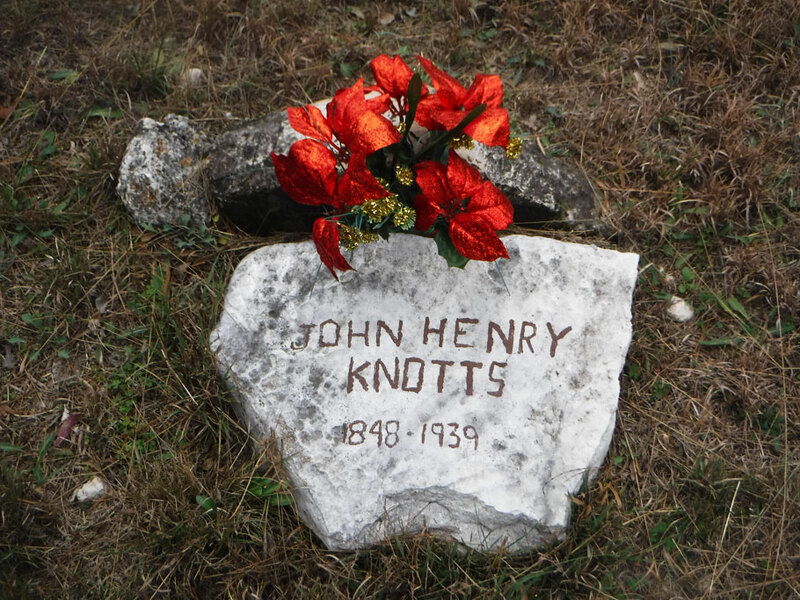 There are 70 unmarked, or graves marked by rocks, wood posts, or small stone blocks in the cemetery. Not sure of the significance of the shells, but many of the graves were decorated with them, like these. 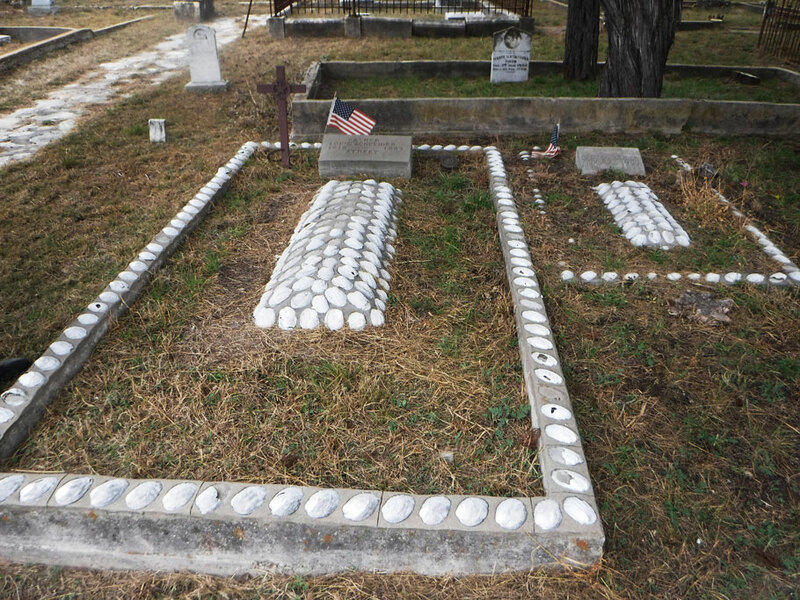 This entry was posted in Texas, Travel On The Dirt and tagged Bats, Cemetery, friends, Ranch, Spanish Fort, Texas. Bookmark the permalink. 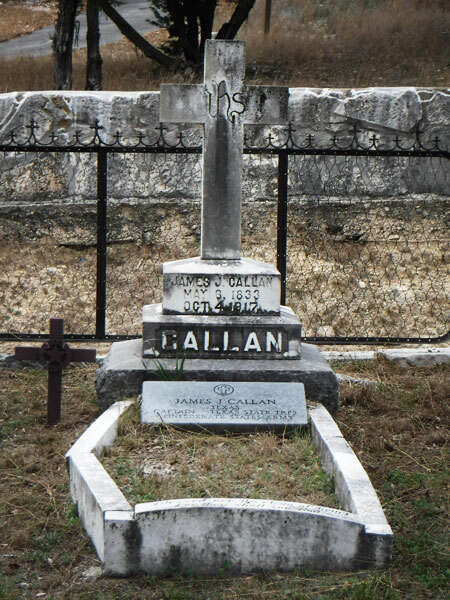 I love walking around cemeteries and looking at the old gravestones. Love the Texas Rangers’ one. I’ve seen a few of the woodworking ones before – I think they’re adorable, although that probably wasn’t what they were going for when they created them. Glad to see you’re having so many interesting adventures with Bob and Ballena Blanca. Really enjoy reading about your adventures. Your descriptions are captivating and the great photos add so much to my vicarious tag-alongs. And love the insights into “van world” life such as the couple who “stealth” travel with travel cones attached to back of their vehicle. Fun, fun, fun! P.S. Showed van-outfitting episodes to my nephew who would very much enjoy a similar life.